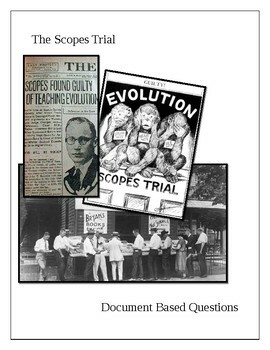 This assignment contains 6 separate primary sources covering the Scopes Trial. (2.) 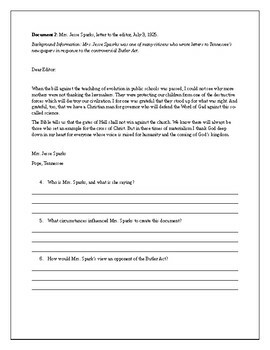 Mrs. Jesse Sparks, letter to the editor, July 3, 1925. 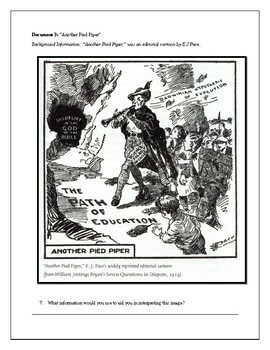 (4.) Dudley Field Malone’s speech on the fourth day of the Scopes trial, July 15, 1925. (6.) “Cranks and Freaks Flock to Dayton,” New York Times, July 11th, 1925. 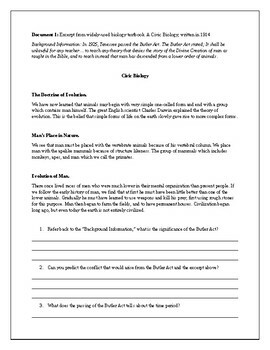 Finally a short writing prompt exists at the end of the activity directing students to; Short Write: Write a thesis, drawing conclusions from the sources above, regarding geographical location and religious beliefs.